10 days. 10 days until Christmas is here. Where has time gone? Watching Christmas movies with the fam is a holiday tradition right on par with opening presents and stuffing your face with turkey. 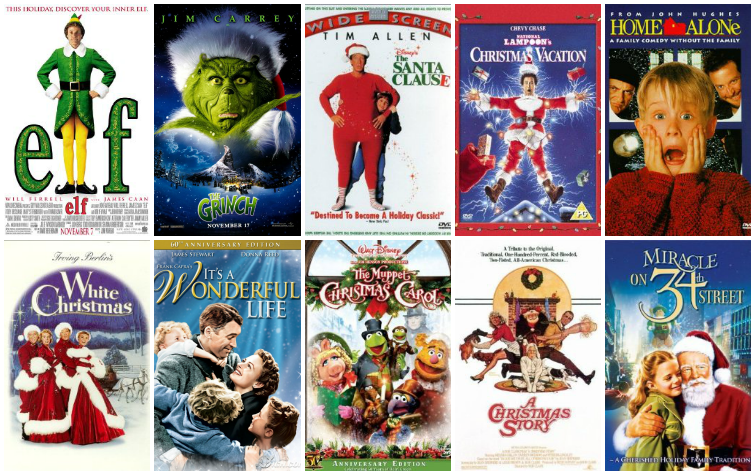 You know you have one - that special movie that always gets you in the Christmas spirit, the one you watch every year without fail. For me, it's Elf. Or the Santa Claus. Or Christmas Vacation. Maybe even Home Alone. Or all of the above. It's difficult to narrow down my fave, there's too many to choose from.